Contrary to popular belief, a career in Human Resources is not just about paperwork and payroll-processing. There are many facets to this exciting career. It offers many challenges and growth opportunities, with great rewards and benefits. As an HR practitioner, you will be in the position to advocate programs that will fill the needs and benefits of all employees in your company. You can directly make a difference in everyone’s lives and work relationships. Since you are the one hiring, processing payroll and promotions, you will be privy to confidential information. This knowledge will allow you to benchmark your own position with that of others and negotiate well for yourself. You will know what’s happening with the company, whether it be events, employee movements and management policies. You may even be tasked to lead most of these matters. During retrenchments, HR people are usually the last ones who will be let go. This is due to the practical reason that they are needed for the actual retrenchment process. Like all careers, many HR practitioners start off as HR or Administrative assistants. These entry-level positions usually come with entry-level salaries or a little above basic wage. As you gain experience, your salary and responsibilities rise. After a few years on the job, you may be promoted as an HR supervisor. When you’ve got about 5 to 10 years of experience, you may become a Manager. That’s where you gain more influence in your company, create programs that affect all employees and get to work strategically with Top Management. Salaries at the Middle to Top Management levels are usually pretty good ranging from 5 to 6 figures. Once you’ve proven yourself and have gained substantial knowledge and experience, you may reach AVP-VP levels. As an HR practitioner, you can either be a generalist or a specialist. There are companies, usually SMEs, who look for generalists—HR people who can do all the functions of HR—sort of like a jack of all trades. But there are also companies, usually those with big and compartmentalized departments who look for specialists—HR positions where the job entails only a single but specialized function (ex. Recruitment Officer, Training Officer, Payroll Officer). Being a generalist or a specialist has its own advantages and disadvantages. If you are just starting in the field of HR, you may want to experience the different functions of HR to get a feel for the field, to find out where you are best suited and what you like the most. 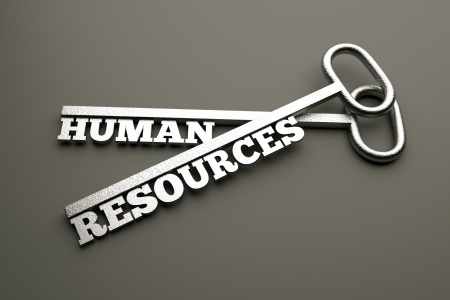 We recommend for you to learn as much as you can about Human Resources. Get as much experience as you can with the different functions. Then carve out a good stable career for yourself. Now let us discuss the different positions and specialized functions that you can look into in the field of Human Resources. I hope this Career Guide will help you in your career planning, or at least give you an insight on what HR practitioners do in their jobs. Considered a jack-of-all-trades, an HR generalist does all-around-HR work. They do most of the regular functions of HR such as recruitment, employee induction programs, compensation & benefits administration, employee records management and employee discipline. Employed by SMEs, they usually handle an employee base of 5 to 30 for small companies or even 30-200 for medium-sized companies. The HR department set-up for general HR practitioners is fairly simple with usually a Manager, a Supervisor and an Assistant comprising the HR team. If you want to learn the ropes and do different HR-related work in a small to medium size enterprise, this may be a good fit for you. If there is extensive and constant need for hiring new employees (i.e. Call Centers, BPOs, Manpower Recruitment Firms), companies usually employ Recruitment Officers. These people are in-charge of posting job ad placements, joining job fairs, screening applicants, conducting job tests, interviewing and checking the references of job candidates. The goal is to find the best candidate who is a good match for the vacant job positions and to ensure that employee will stay long enough in the company. If the recruiter does a good job, the company will gain from it. If the recruiter does a poor job, it becomes very costly for the company. If you enjoy meeting people and are quite adept at reading people and investigating their background, being a Recruitment Specialist may be something you might want to try. Training and Development is a progressive function of HR. Some companies hire in-house Training Officers who are tasked to provide Orientation Training to new hires, train employees on corporate soft-skills or even technical hard-skills. Most of them conduct training needs analysis and develop year-long training calendars for their employees. Depending on the level of training course difficulty, they may develop and conduct the seminars themselves or they can hire external providers to conduct the training for them. If you are passionate about learning and education, if you enjoy training and public-speaking, you may want to consider a career as a training specialist. Compensation and benefits are the favorite part of every employee. And the person who administers and makes this all happen is the Compensation and Benefits Officer. The functions of this type of specialist may include the more mundane task of payroll computation and time-keeping (although some companies have automated systems or let their accounting department handle this), but it also extends to Job Evaluation, Pay Structure Design, Benefits and Incentive Program Design. It is one of the most technical aspects of Human Resources in the sense that you will need to know how to compute, budget and forecast, but it is one of the most critical functions as this directly affects all employees and the company itself. A good Compensation & Benefits program increases team morale, motivates employees to produce more and make the company thrive. A poor one does the exact opposite and simply depletes the resources of the company and its people. If you are good with numbers, if you like designing and planning programs that affect many people, if you would like to have a direct say or influence in your company’s compensation structure, you may want to consider becoming a Compensation and Benefits Specialist. Big companies have many teams within the HR department. One fairly new field in HR is Employee Engagement. An “engaged employee” is fully involved in and enthusiastic about his or her work and thus will act in a way that will further the company’s interest. The role of the Employee Engagement Team is get employees enthusiastically involved, so they plan and implement programs and community-building projects that will re-energize the workforce. This may include fun, stress-busting activities such as art and crafts workshops, movie premieres, learning events, volunteer work and teambuilding. Organizing these activities involves a great deal of work and someone has to do it. So if you like events management and planning fun and energizing activities for people, you may want to look for an Employee Engagement job vacancy from large firms. The Labor Code of the Philippines is an important area of practice in Human Resources. Many large companies hire lawyers to head or become part of their HR team as a Legal Counsel. Aside from important contracts and legal documents, they handle the critical aspects of labor relations, DOLE compliance, and collective bargaining agreements with unions. So if you are a lawyer, you may want to specialize in HR as it is a present need for many companies. If you want to be a full-fledge HR professional (with or without a law degree), a working knowledge of the Philippine Labor Law will prove to be very useful and helpful in your career. Many HR practitioners with 15-25 years of experience in the field retire from full-time work and pursue careers as HR Consultants. Most SMEs and Business Start Ups need someone to help set up their HR department, as well as guide them in setting up policies, compensation and benefits structures and even fill in executive posts. Some of these companies hire HR consultants on a part-time or retainership arrangement. This type of job is perfect for HR practitioners with extensive experience, but who prefer to be their own boss. If you have extensive HR management experience and would like to have more control of your work hours, this may be a career choice for you. HUMAN RESOURCES offer a wide array of career options and opportunities for people with different types of personalities and skills. It can be both financially and socially rewarding, because it is one career where you can directly make a difference in your co-workers’ lives and make everyone benefit from your great work. If you want to explore a career in HR better, check out HR Club Philippines seminar offerings. May you find the best career for you. Good Luck!